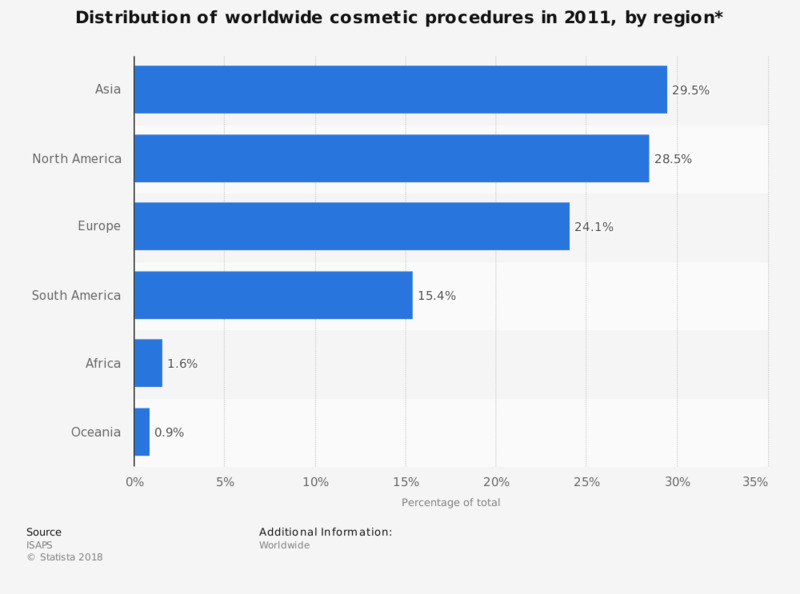 This statistic depicts the distribution of cosmetic procedures worldwide in 2011, sorted by region. In that year, most of the worldwide cosmetic procedures were made in Asia, with almost 30 percent of the global total. * Including surgical and nonsurgical procedures.